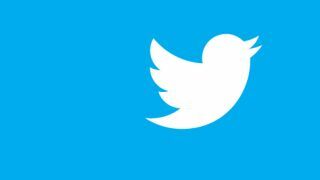 Twitter, which allows users to publish 'tweets' of up to 140 characters, is best known as a platform for celebrities to speak directly to the public, and vice versa. It can make Twitter look daunting for smaller businesses, but if used with a little thought, it is arguably the easiest social media service to exploit with limited time and expertise. Twitter can be used through pretty much any computer, tablet or mobile device, either through the service's website, software such as Tweetdeck or mobile and tablet apps. As messages have to be short, they can be written quickly – although they should always be written with care – and the fact that users publicly follow others allows businesses to know who their potential customers are. Twitter can be used like selling from a market stall to an interested crowd, with the rest of the world passing by. Rather like market traders, experienced business tweeters inject some personality into tweets; respond to questions and comments (directed by using @ then the target account's name); and use visual aids, in Twitter's case by attaching pictures. A bit of banter goes a long way, although should be used with care – people have faced severe legal consequences over tweets. Tweets can be deleted, but may have already been read and copied by the time you do this; best not to say anything stupid in the first place. Some businesses have made Twitter a key part of their marketing. One is BrewDog, a craft brewer and bar owner based in Ellon in Aberdeenshire. Its 'master gunner' Sarah Warman – more conventionally, she handles digital marketing and events – spends a couple of hours a day on Twitter. She has backup from other staff when she's ill or on holiday, but says she tends to monitor Twitter most of the time: "I'm never off the clock, really." "You can't provide someone with a taster of beer on the internet," says Warman, so instead she focuses on telling the account's 25,000 followers what the firm is doing, whether that involves new beers, new stock or other news. She also uses it to answer tweets from followers (those including @brewdog). "As far as possible, we try to answer every question," she says. If things are quiet, she will also respond to those simply mentioning the firm in a tweet as well. Followers appear particularly interested in how the beers are made. "They ask a lot of questions about the equipment, what things are for, the science behind it," Warman says. She encourages this through using pictures: "We post an image from the brewery every day." One option with Twitter is to monitor popular hashtags, codes helping users to search for tweets of interest, and use them in marketing tweets; but Warman prefers to use her own. On Friday afternoons she looks for those using the hashtag #deskbrew, for those having a beer in the office. While it isn't possible to keep this for BrewDog's use, it has become associated with the firm. BrewDog runs 10 bars, with more in the pipeline, and each has its own Twitter account – such as Glasgow's with 2,400 followers. These are monitored by someone working in the bar, whenever it is open, with the idea of it being equivalent to talking to bar staff (although without being able to order a drink). "If they get a question about what's in store, they can have a look and answer those questions immediately," says Warman. The firm opens an account for a new bar before it opens, to allow a following to build. Warman also asks where followers would like to see new bars open, and pays £1,000 bounty for any suggestions that led to an opening.